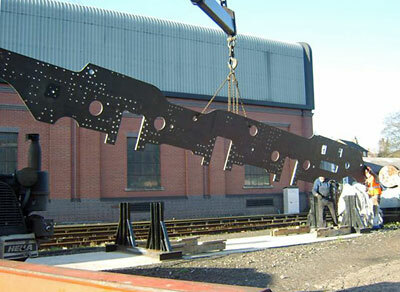 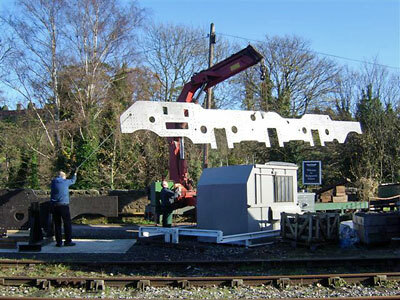 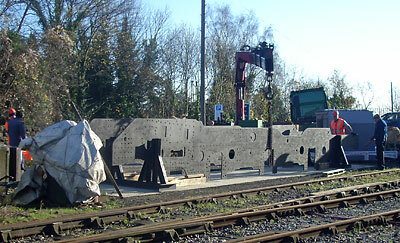 A very significant day in the construction of 82045 as the frames arrive at Bridgnorth following drilling at the Boro' Foundry. 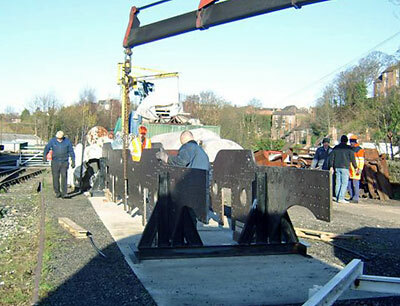 The Express & Star reports. 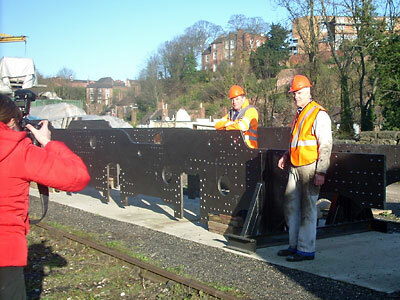 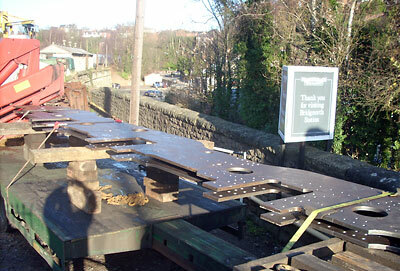 The frames safely in place at Bridgnorth. 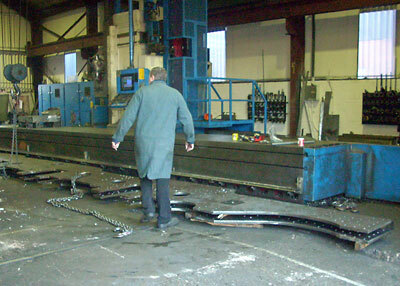 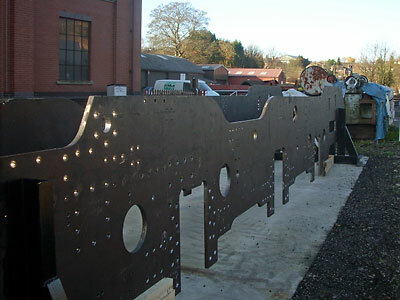 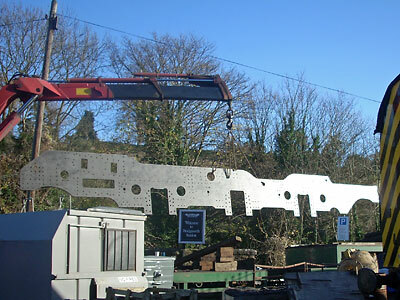 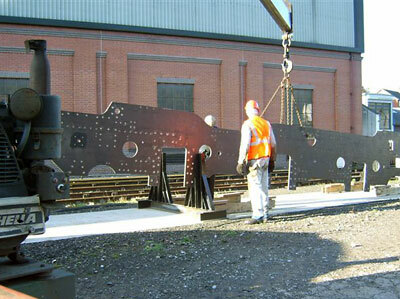 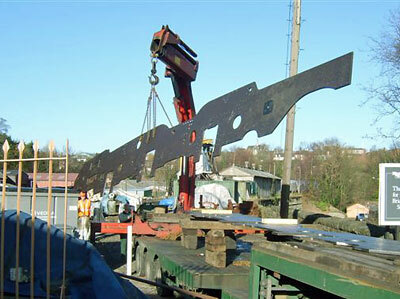 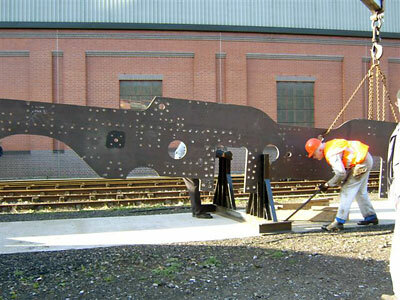 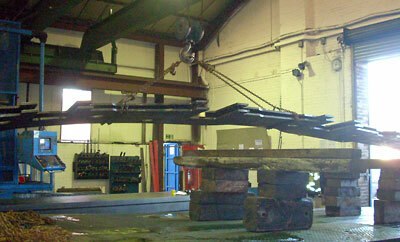 Photos from Brian Oldford and Barbara Massau following the delivery of the frames from the Boro' Foundry to Bridgnorth. 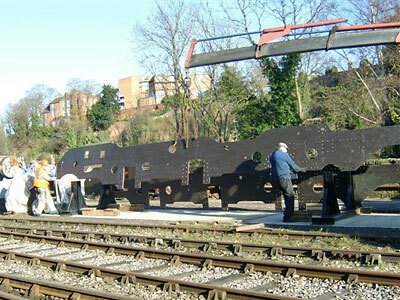 25th November 2008. 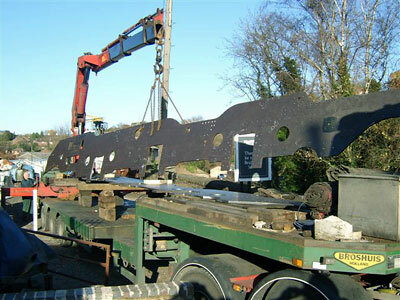 ...and for the first time 82045 begins to look like a locomotive! 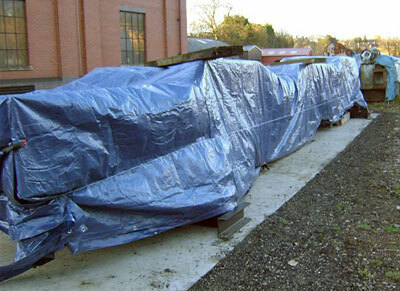 ..then at the end of the day the frames are oiled and wrapped up.